Curious about Maryknoll? Have questions or want to chat with Fr. Mike about your own calling? Give him a call at (914) 941-7636 ext. 2416. Or, email Fr. Mike below and he'll personally respond right away. Fr. Mike Snyder M.M. is a native of Rutherford and Wayne, New Jersey. After ordination, he was assigned to Tanzania, East Africa where he served for a total of 26 years. During that time he was stationed in various mission parishes and most recently he served as the chaplain at the Muhimbili University of Health & Allied Sciences (the national medical university of Tanzania in Dar es Salaam). Fr. 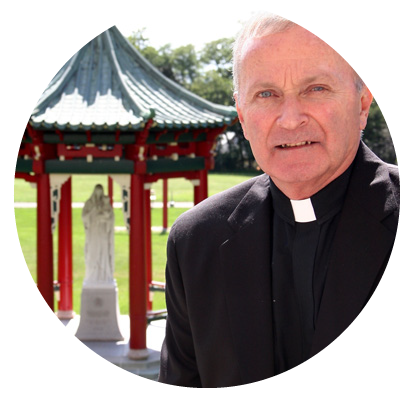 Mike has served in various leadership positions with Maryknoll, including as Vocation Director from1999-2006. He was re-assigned to vocations in Oct. 2015.